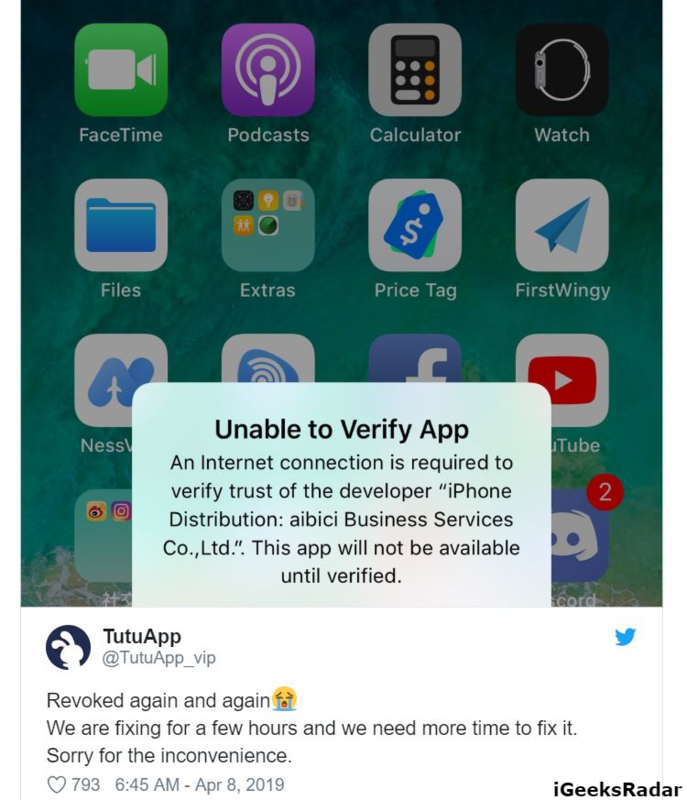 [Update] Are You Facing Revoke Issue on TutuApp, AppValley, Ignition & TweakBox? Download ‘TutuApp Lite’ Workaround. 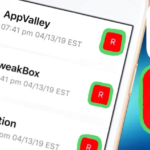 TutuApp, AppValley, Ignition & TweakBox are the popular third-party App Stores that provide hacked, modified, and tweaked iOS apps and games without jailbreak. 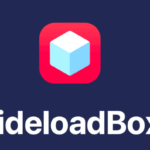 If you are one of the users of these third-party App Stores, you must know that periodically Apple lands hard on them and revokes their certificate. Subsequently, users are not able to utilize the services of these App Stores. However, with clever hacking, the development teams behind these stores are able to bring them back up in no time. Lately, Apple has become tough over these third-party App Stores as they are witnessing multiple revokes in consecutive days. The development team behind these stores are able to renew their certificates, only to be revoked again. In the past few days only, TweakBox and AppValley have been revoked 4 times. The Story – What is Happening? 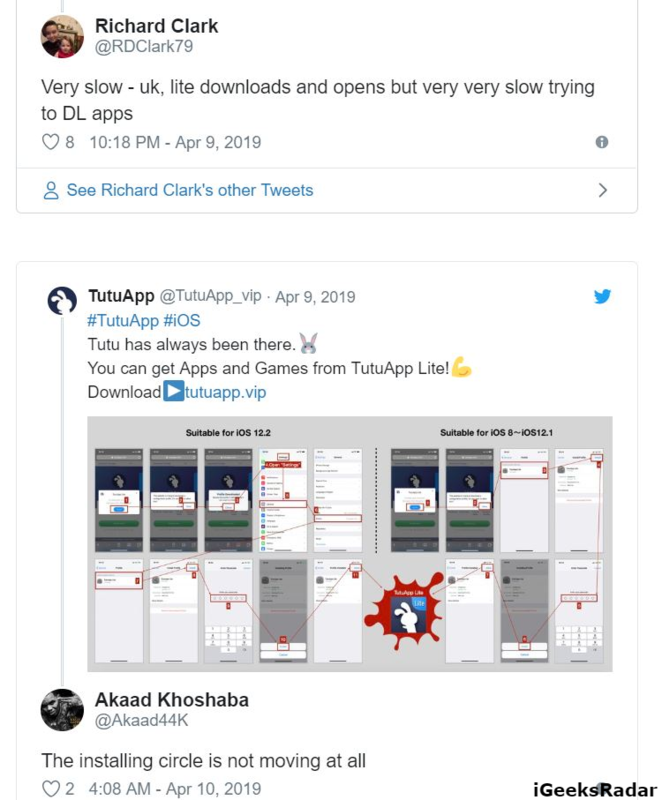 TutuApp, sensing the emergency of the situation, and in a bid to retain their user base, suggested users go for TutuApp Lite, which is a light version and a prototype of the original application. Meanwhile, the development team of TutuApp is consistently working on fixing the primary application. 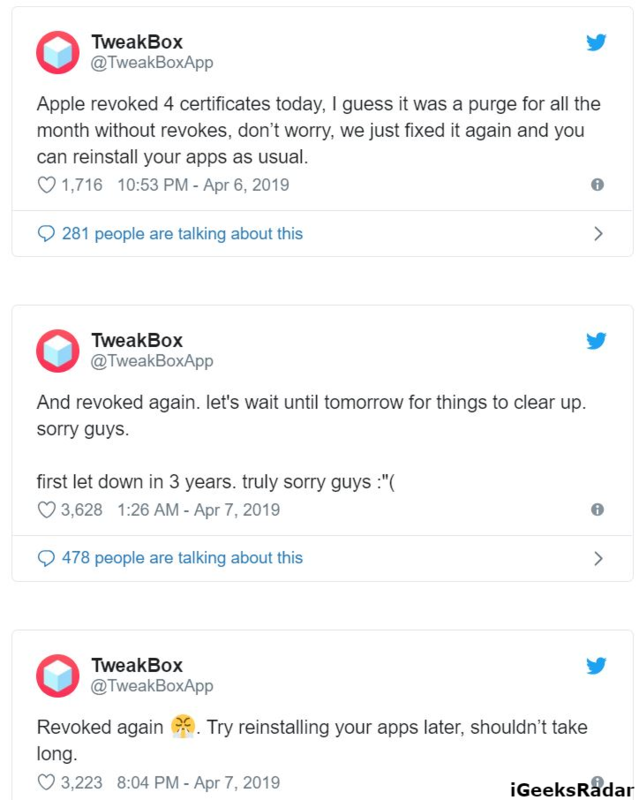 In short, while TweakBox, Ignition, TutuApp, and AppValley are consistently trying to renew their certificates, Apple is continuously cracking down and revoking them again and again. The following images will help you to get a clear idea of the story. Try out “Latest Working Spotify++ App on iOS with This Working Third-Party App“. Check Here, what’s going with AppValley VIP Free App. 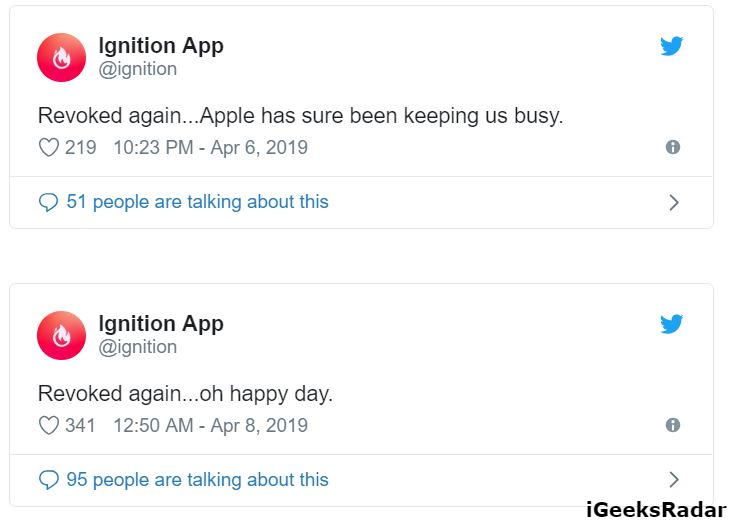 TuTuApp friend, Ignition posted all these tweets regarding the where they are working to fix all the issues and errors. Though TutuApp Lite is working, users of TutuApp Lite are facing their own share of problems like slow downloading or no downloading at all. 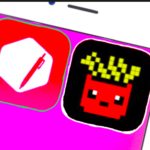 TutuApp replied to the same stating that since this is a prototype application, some applications and games might not work. Rest assured, they stated that they are in process to fix the application. Similar to TutuApp, the remaining applications also stated that they are in process to fix the issue. Do check: FloatingDockPlus (UPDATED) – Vertical Splitview Like Android for Multi-Tasking. 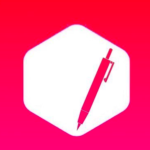 Get: “Working Instagram++ on iOS(iPhone/iPad) – No Jailbreak – UPDATED“. Launch the Safari Browser and navigate to TutuApp.vip. On the pop up that comes up next, tap on ‘Allow’ and you will get redirected to the Settings app on your iPhone/iPad. Once after clicking, “Allow”, You will see Profile Downloaded to your settings. Go to >>General>>Profile and Device Management >> Select “TuTuApp Lite”. A profile installation screen will come up. Tap on the ‘Install’ option present on the top right corner. Enter your passcode, tap on ‘Install’ again and you are done. Launch the TuTuApp Lite application and enjoy your favorite apps, games, and tools. What are Future Updates about TuTuApp Lite? As of now, the applications are simply struggling to fix the issue. However, we definitely have to give credit to the development teams for working so hard. We hope to have a fix soon. Till then you can wait or you can download the working apps and games from TutuApp Lite. Also, Check out: “Emus4u App Download on iOS to get All Tweaked Apps & Games“. If you are facing any issues with TutuApp Lite, you can let us know about the same in the comments section provided below. Apple has, certainly, never led such a serious crackdown on these third-party App Stores. Stay tuned with us for more updates on the issue. Use & Install Panda Helper VIP Free on iOS 12.2, 12.3, 12.1.2/12+on (iPhone/iPad). Download Paid Apps for Free on iOS [iPhone/iPad] Without Jailbreak.